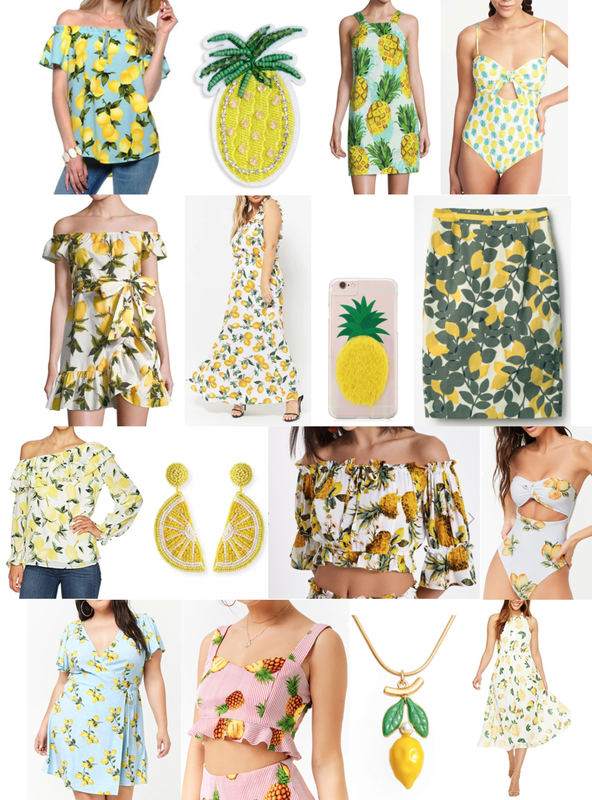 I'm dreaming of summer weather in today's cutie patootie pineapple print. It's my favorite season to dress for, and it can't get here soon enough! I love that "throwing something on" in the summer means little breezy dresses like this one. I'd wear it for errands or lunch in the top photos, and for the beach in the last photo with hat, green bag and flip flops. I rounded up even more fruity options on a budget, below! Approx. dates: Green bag is 3 years ago. Bag, earrings, hat are 1 year ago. Shoes are recent, dress is new.